Santa Catalina Island, located about 22 miles southwest of Los Angeles, California, is part of the Channel Island archipelago. The island supports more than 60 miles of pristine beaches and an array of plant, animal and insect species. About 90 percent (42,135 acres) of the island is protected by the Catalina Island Conservancy, a nonprofit organization established to conserve the island’s natural resources through preservation and restoration. 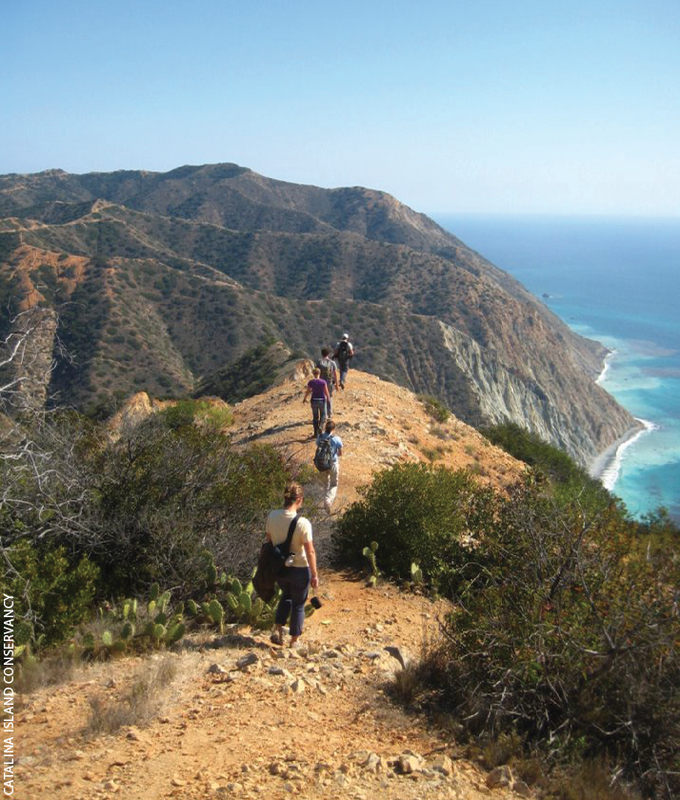 The native plant community is central to the ecosystem of Catalina Island. It provides habitats that offer shelter and food to the Island’s endemic animals like the Catalina Island fox (Urocyon littoralis) and Catalina quail (Callipepla californica catalinensis), and native wildlife such as bald eagles (Haliaeetus leucocephalus) among many other species. Years of importing non-native plants as livestock feed and to landscape homes has introduced more than 76 highly invasive plants to Catalina Island. The Conservancy’s milk thistle control effort historically included hand pulling, mowing, and glyphosate or Garlon®4 Ultra herbicide treatments from April through June. 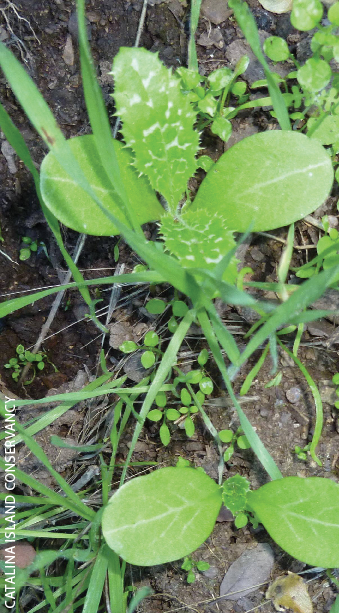 “We found that hand pulling disturbed the soil seed bank resulting in an increase in milk thistle seedling density, and mowing caused plants to re-sprout. Also, our spring herbicide applications were ineffective because of late-germinating plants, and large mature plants that didn’t receive a lethal dose of herbicide due to leaf overlap,” explains Summers. 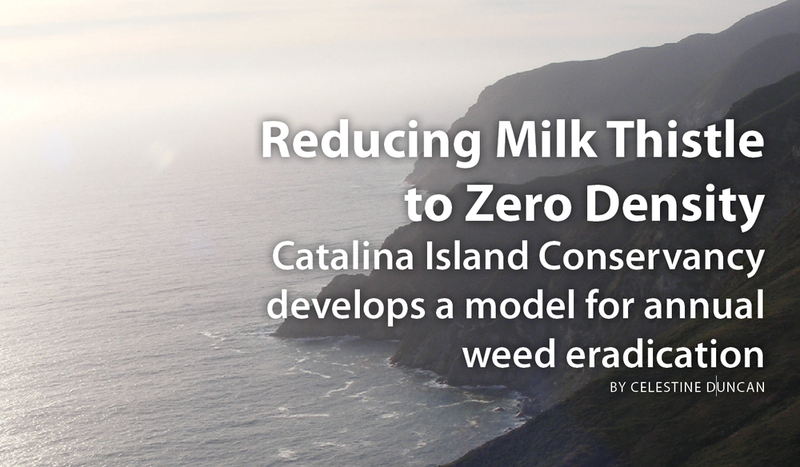 In 2010, a field study was initiated on the island to develop a more effective treatment strategy that would reduce milk thistle to zero density on Catalina Island. FIGURE 1. Percent of control of milk thistle plants within various infestation sizes following a fall application of Milestone herbicide at 6 fl oz/A to seedlings and rosettes. Green bars represent average percent control. The new milk thistle treatment protocol included early fall applications of Milestone® herbicide at 6 fluid ounces per acre (fl oz/A). Infested sites were surveyed and Milestone herbicide was applied to newly emerged seedlings. A five-foot treatment buffer was treated around seedlings during application. Herbicide was not applied if seedlings were not visible at time of application. Late-season follow-up treatments were made in May and June on mature plants with a 5 percent solution of glyphosate or 1 percent solution of Garlon® 4 Ultra herbicide. Late spring treatments were focused on quickly killing large plants to stop flower production. Flowers that were present on mature plants at application were clipped and buried about one foot deep in soil to prevent seed dispersal and germination. 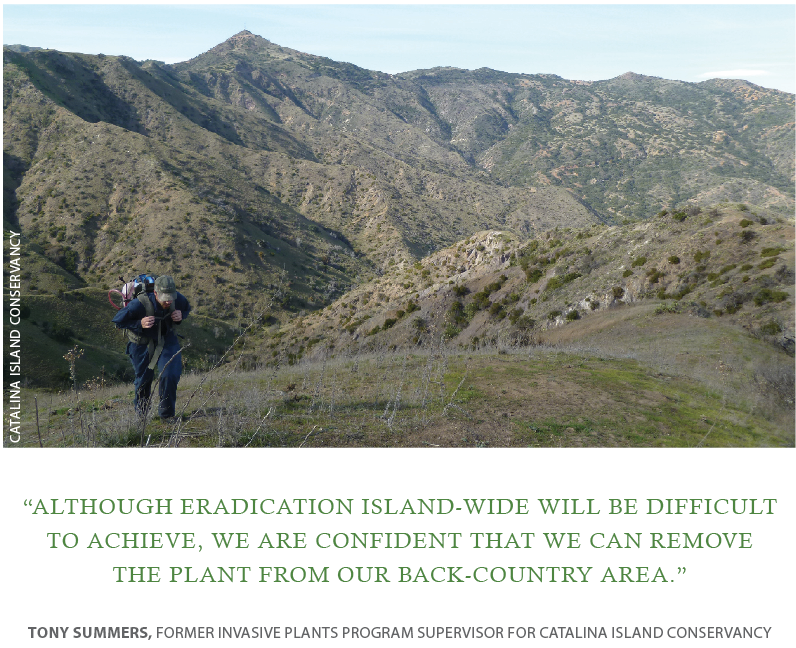 Treating scattered infestations of invasive plants in the backcountry of Catalina Island. DiTomaso JM. 2007. Weeds of California and Other Western States. University of California Agriculture and Natural Resources Publication 3488. p 391-394. Hochberg ML, S Junak, R Philbrick, and S Timbrook. 1979. Botany. In Natural resources study of the Channel Islands National Monument, California, ed. DM Power, 5.1-5.91. Santa Barbara, Calif.: Santa Barbara Mus. Nat. Hist. King County Department of Natural Resources and Parks. 2009. 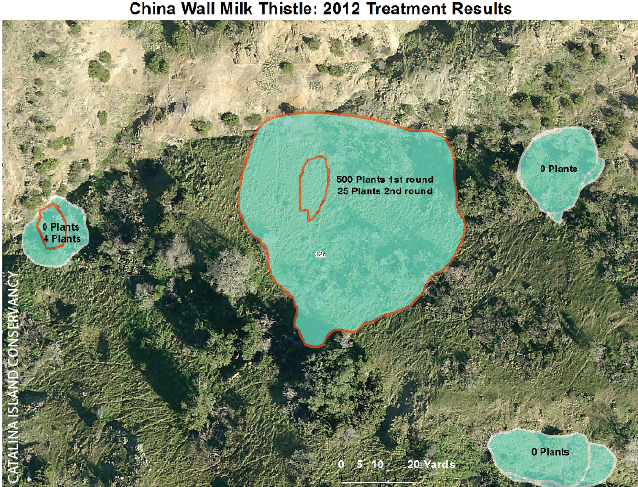 Best Management Practices: Milk Thistle. University of Maryland Medical Center. http://umm.edu/health/medical/altmed/herb/milk-thistle#ixzz2YUiESesY. Accessed 2013. Herbicide products (active ingredients) mentioned in this article include Garlon 4 Ultra (triclopyr), Milestone (aminopyralid). Milestone is not registered for sale or use in all states. Contact your state pesticide regulatory agency to determine if a product is registered for sale or use in your state. State restrictions on the sale and use of Garlon 4 Ultra apply. Consult the label before purchase or use for full details.